You should carefully read the activation instructions for the “SvetL Flora” Generator in this article. All current information about "SvetL-Flora", the latest news, discussions in the "SvetL-Flora" group at vk.com and on the Forum. The "SvetL-Flora” section is on the RSTS site. First of all - it's an experiment. This is a real need to more deeply understand and learn the essence and ‘operating principle’ of living plant cells, based on the knowledge, practices and technologies left to us as a legacy and developed by us based on the new knowledge of Russian scientists N.V.Levashov, A.M. Khatibov, N.A. Morozov and others who are still alive, which we have written and spoken about frequently. 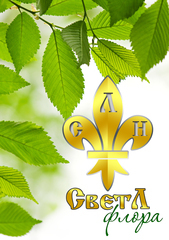 It is an experiment, and now a fully fledged project and “SvetL Flora” Program, that has already been successfully carried out for more than two years by the Russian Scientific and Technical Society and now any person who wishes may take part in the continuation of this project. The "Psi-field" Generator for plants which he created was first set up by Nikolai Viktorovich Levashov on the grounds of his castle in France in 2003. He described the results of the Generator’s effect on plants and soil in a series of detailed articles entitled "The Source of Life", including hundreds of photographs illustrating the ‘wonders’ that occurred. A corresponding experiment was initiated by the Russian Scientific and Technical Society in 2013. 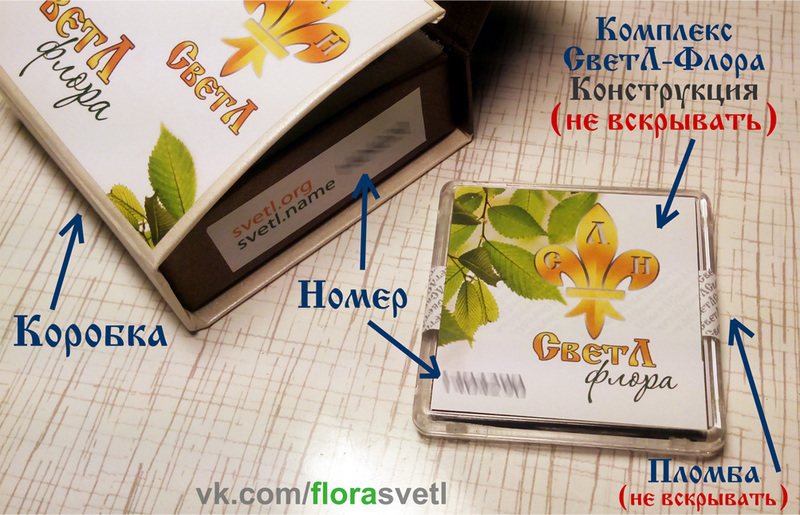 In early spring the first "“SvetL-Flora" Generator with relevant programs was set up in the Leningrad region, then on 1 May 2013 in Krasnodar and a little later in Kamchatka. You can find out about the results of the experiment in Krasnodar in a three-part film which describes in detail and shows the effect of “SvetL” technology. These results were obtained without the use of any type of fertilizers or chemicals for protection against pests or diseases, and in relatively poor urban soil. The “SvetL-Flora” Generator is a ‘non-physical’ structure (in the conventional sense of the term). It cannot be weighed or touched, neither can its ‘density’, ‘fluidity’, or ‘bio- field’ be measured and so on. The physical carrier of the “SvetL-Flora” Generator is a "Construction", which we discussed in articles “Knowledge from the Beginning”. The owner of the “SvetL-Flora” Generator should put the "Construction" (in a plastic case without opening the seal) in a glass container with a lid (eg, a jar of honey or jam) and place the container in the ground to a depth of 50-100 cm. The radius of activity of the “SvetL-Flora” Generator (for the experimental phase) is designed to be up to 20 meters. 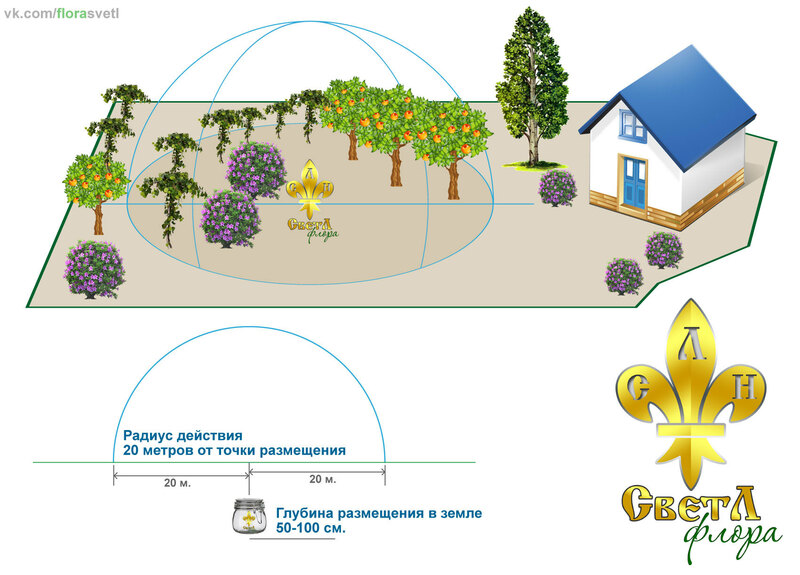 Therefore choose a location for the Generator based on calculating the approximate centre of the owner’s garden and vegetable plot. A glass jar with metal or glass lid is preferred for ensuring the durability of the case and the “Construction” from the damaging effects of the Earth itself, of groundwater, as well as moles, mice and other underground creatures, which could at first ‘develop a taste’ for the “Construction’s” case and become interested in what ‘comes out’ of the "Construction" itself. Also, the glass container is easier to find in the ground in case you need to move the Generator to a different location. Anticipating the principal and fundamental question, "will I be able to grow strawberries in the snow?” we’ll answer straight up; we are not magicians, we are just learning! But unlike wizards we will learn together with you. That's why the “SvetL-Flora” project is positioned as an experiment, in which our supporters and participants of the “SvetL” programs are now invited to participate. The results that we have already achieved permit us now to move ahead and make this project public. The main objective of the project is to teach you to interact with the "“SvetL-Flora" Generator and its programs through your existing “SvetL” Complexes and “SvetL” Bracelets so that you can independently control the processes of growth and development of your chosen plants. In order to understand what is going on, we strongly recommend that you read (and read carefully) everything that is written (and precisely for this purpose) in N.V.Levashov’s book "The Source of Life, 1-10." Use the knowledge contained therein as ‘operating instructions’ in our joint project. We know that you will succeed in learning all that is needed and that those of you who have been using the “SvetL” programs for at least a month are now ‘visiographically’ ready (through symbolic, multi-dimensional display of any information) to create forms of ‘preferred parameters’ for the plants and to task the “SvetL Flora" Generator through its ‘devices’, for correcting and learning to manage the process of plant growth and the fertility of the soil in which they grow. And most importantly, you will learn a reasoned understanding of the processes you have initiated and of your responsibility for what is created. This is both study and your cognition of the processes of restoring the lost balance between man and nature on your lands. And this is only the beginning. Only in this way, together, can be return and restore what was destroyed, destroyed and ruined over the centuries. This will also be a manifestation of our collective reason - for good ends! It is this for which N.V. Levashov appealed and what he continuously wrote about. It is to put into practice the new knowledge and new technologies which he bequeathed to us all. To teach you how to independently monitor the changes in nature that will occur before your eyes. To record and write down everything your diary record books, in order to then share your experiences and teach all that you will get to know to your children, relatives, friends and associates. It's time! Practically all ‘instructions and directions’ are already set out in our articles “Znaniya ot Na_ChaLa” (Knowledge from the Beginning) and in the works of N.V.Levashov, "The Source of Life 1-10"
The use of "SvetL-Flora" for more extensive areas of land (large agricultural areas with large areas of crop) will be discussed separately, in the near future. If you want to use the "SvetL-Flora" Complex with house plants, in an apartment or other closed space, the "SvetL-Flora" Generator is located near the indoor plants, greenhouse or other plants in the approximate centre of the conditional test site. When conducting experiments on house plants, in apartments, after all the necessary manipulations described in this article have been carried out, the "SvetL-Flora" Complex must also be placed in the ground! In this case, it may be the biggest pot with soil and growing plants in it, or some container to the ground, in which the "SvetL-Flora" Complex (Construction) should be placed at a depth of at least 10-15 cm. For example, take a 3-litre jar, fill it with good soil, of about the same sort in which your indoor plants are growing. Pour half of the soil into the jar, the place the "SvetL-Flora" Complex in and cover it with soil up to the neck of the jar. But best of all is to choose the biggest pot with soil and plants growing in it, then carefully bury the "SvetL-Flora" Complex in it, making this plant the ‘main’ one. Thereafter, this container with soil (or with a growing plant) and with the "SvetL-Flora" Complex already buried in it, is located near the potted house plants, arranged such that the indicated ‘radius of activity’ extends across all of your house plants that you have prepared for the experiment. In apartments it's not hard to do. Apply some Russian ingenuity. For carrying out such manipulations in an apartment, a protective glass jar isn’t necessary. The "SvetL-Flora" Program has a great future, and with your help, this Program can come fully to life and be truly useful to all those who care about our earth, who wants to restore it, and nature itself.